This error is likely to have been caused due to something happening with the database that locked or changed the keys that link databse tables. 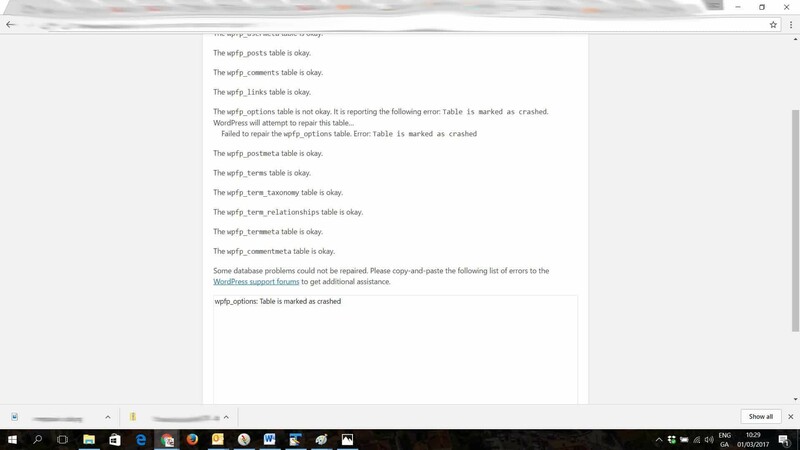 This means that the database was unable to process, processed in error, or was forced to lock a table. Databases tend to be fairly stable but sometimes plugins etc. conflict and try to make the database act in a way that it was not designed for. As a result, the database protects itself by preventing the table that has an issue from interacting with your data. As a result, databases sometimes have to be repaired to get them back running how they should.If the problem persists after repairing, try to workout why it is being forced to not work as it should. 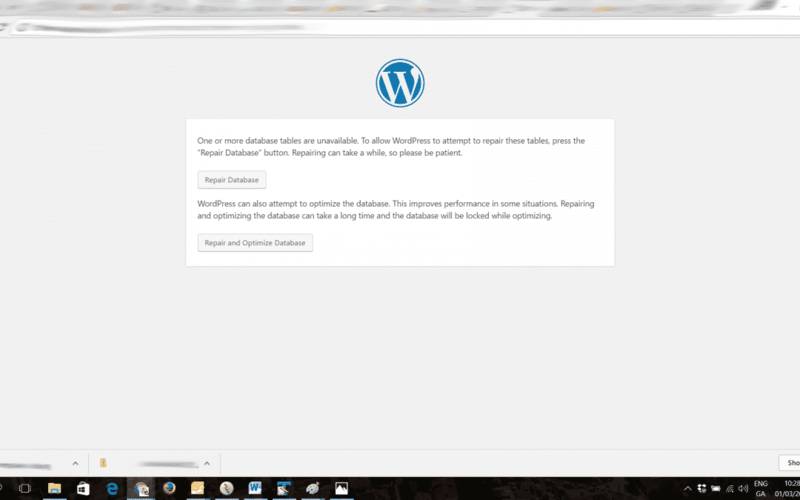 If using wordpress for your websites design, start looking at plugins…chances are the issue is there! Like anything in webdesign, there are lots of ways to fix the database. 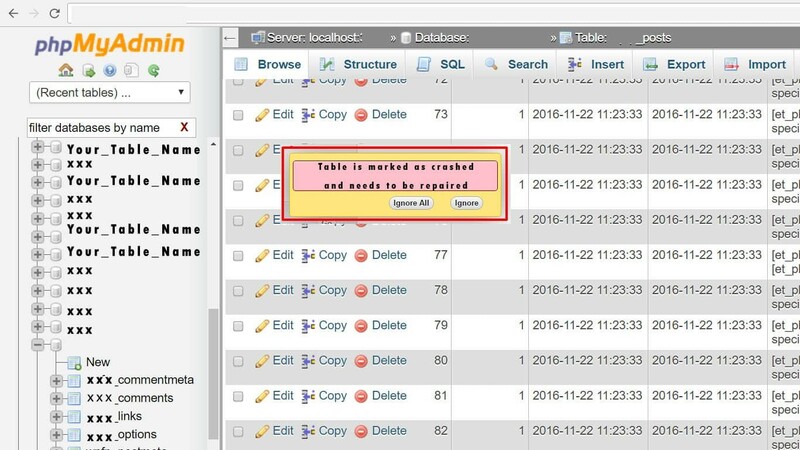 This post will outline how to fix the table that is marked as crashed using cPanel. You can read more about cPanel by clicking here and you will need to get your cPanel details from your host or website designer. As always, if you need website design help or fixes, contact Arrow Design – here to help, for less than you think! 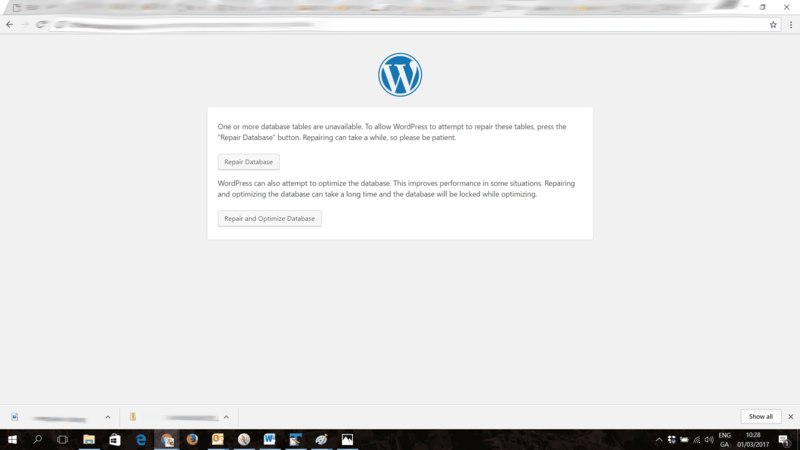 The first step is to access if wordpress can repair the database itself. However unlikely, worth a try… Just follow the onscreen instructions. Note that your wp-config file can be accessed through cPanel – just click on File Manager. If it does, great if it doesn’t, no worries, just follow from Step 2. Log into your cPanel account and choose myphpAdmin from the options available. This is your window to editing databases that are on your hosting account directly. You will need to know which database your website connects to, but the problematic table will usually be displayed when you click into the correct database. The databases are listed on the left column, if you only have one website, it is likely that you will only have one database to pick from. You can also verify your website name through cPanel by choosing file manager and opening the wp-config file which will specify the database name for the website to connect to. 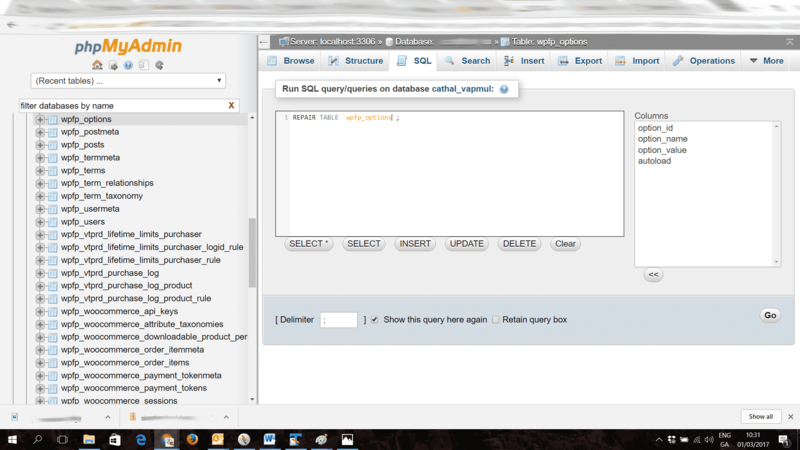 The database is repaired by using an sql command. SQL (structured query language) is the common language to interact with databases. Your website uses SQL to store details about your website such as addresses of images you upload etc. 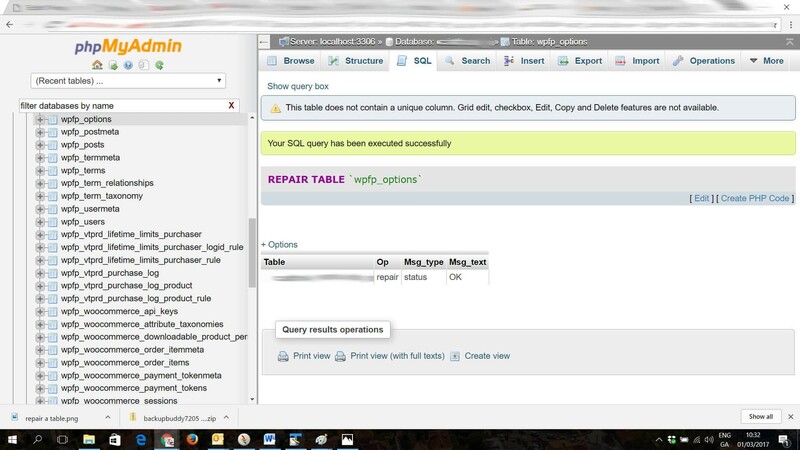 You only need to click “SQL” and paste the following code and replace with your table that needs to be repaired. Note that there is single quotation marks around the table name and a semi-colon at the end of the statement. 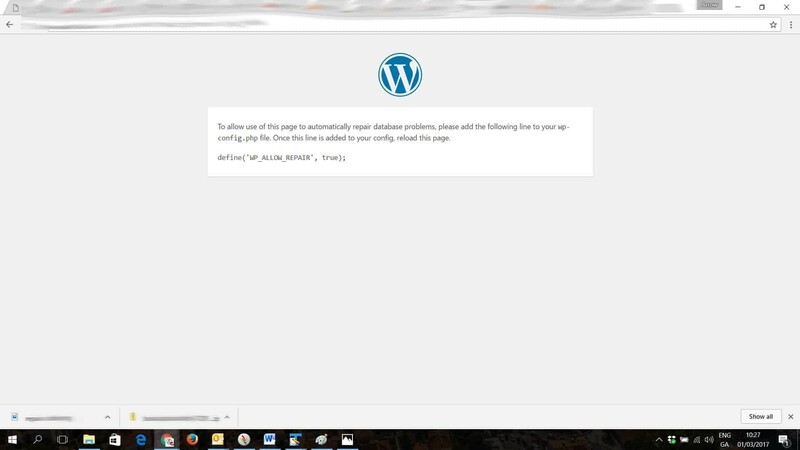 If you are unlucky enough to get the error “Table is marked as crashed and needs to be repaired”, its not good, but its not the end of the world and you may be able to fix the issue using wordpress or through cPanel. If the issue keeps happening, you will need to diagnose the issue further, starting with unnecessary plugins. If you have any website design or database creation issues, contact Arrow Design – here to help, for less than you think!